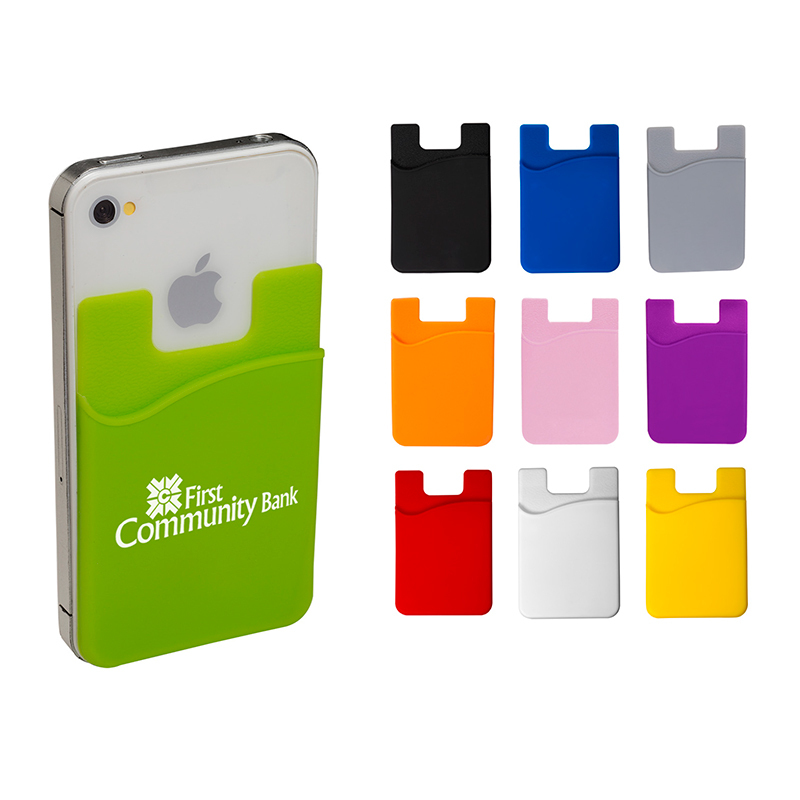 Silicone pocket with removable 3M™ adhesive backing for cell phone or mobile device. Holds credit cards, driver's license, business cards, stylus, coins or other small personal items. Colors Available: Black, Blue, Gray, Lime Green, Orange, Pink, Purple, Red, White, Yellow.